Say tuned for the latest news, announcements, as well as updates on upcoming events. 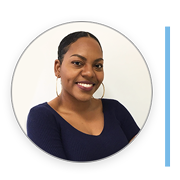 As general manager, it is my pleasure to give you a very warm welcome, through this first newsletter, to our newly established and officially registered Accreditation Agency of Curacao (AAC). This monthly newsletter will, I hope, help keep you updated on our latest news and provide you with vital information concerning all of our activities, undertakings, and endeavors. The purpose of the AAC is the promotion of quality assurance in education and professional training. 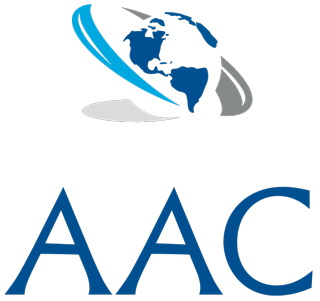 The AAC has been established to accredit degree programs at universities, universities of applied sciences, colleges and professional schools (bachelor, master and doctoral study programs) and higher education institutions in Curacao as well as abroad. Our Academic Board, Accreditation Commission, as well as our office are occupied by esteemed and highly qualified individuals from the academic world and from the private and public sectors. All of these persons pursue the AAC’s vision of academic excellence, influence and uniqueness. We will of course in the future continue to recruit and engage people with ambition, and bring together teams with the skills, strengths and identities to make a difference! Starting in September 2017, the ACC will formally start to conduct procedures for the accreditation of educational programs in all disciplines (program accreditation) as well as procedures for the accreditation of educational institutions, both locally and around the globe. The AAC, its Academic Board, Accreditation Commission, and office staff are very confident that the next academic year will provide us with many interesting and varying challenges and we look forward to working together with our clients to ensure that the highest quality standards are always met. The Accreditation Agency Curacao Offers All Universities and or Institutions of Higher Education the Opportunity to Become a Basic Member. General meeting to be held on the 8th of August 2018. – Was carried out successfully. Academic Board and Accreditation Commission to be held on the 8th of August 2018. – Was carried out successfully. The AAC Network Meeting planned to be held on the 10th of August 2018.- Was carried out successfully. The AAC Network Meeting planned on the 15th of May 2018 – Was carried out successfully. Academic Board meeting is planned on the 21st of March 2018 – Was carried out successfully. General Meeting of the AAC: Thursday the 24th of August 2017 – Was carried out successfully. Academic Board: Meeting Thursday the 7th of September 2017 – Was carried out successfully. Academic Board: Meeting Minister of Education of Curacao Drs. Marilyn Alcalá Wallé 24th October 2017 – Was carried out successfully. Academic Board: Policy director of the Ministry of Education of Curacao 20th November 2017 – Was carried out successfully. Accreditation Commission Meeting: Thursday the 7th of March 2019 – Was carried out successfully. Accreditation Commission meeting is planned on the 21st of March 2018 – Was carried out successfully.